House Republicans, who have signaled openness to bicameral talks but have yet to stake out a clear position in the debate, wouldn’t have any say if Speaker Nancy Pelosi had the votes in her caucus to decide how to divvy up money for defense and nondefense. It’s a reversal of the position both parties were in over the past several years. House Republicans in the majority couldn’t get their conference to agree on topline spending numbers, giving Pelosi and her caucus leverage in bicameral talks since their votes were needed to help pass bipartisan deals that conservatives balked at. Now Democrats have handed House Republicans the same power they’d frequently bragged had been given to them. “It’s like looking in the mirror,” House Budget Chairman John Yarmuth of Kentucky told reporters. Democratic leadership had hoped to bring a bill to the floor Wednesday that would’ve capped fiscal 2020 discretionary spending at $664 billion for defense and $631 billion for nondefense programs, but they had to scrap that plan because it didn’t have the votes. The House did pass a rule that included language deeming $1.3 trillion as the overall discretionary spending level for appropriators to use in writing the fiscal 2020 bills, but that number is not enforceable without a statutory increase in the caps. The opposition to the caps proposal, which was narrowly reported out of the Budget Committee last week, came both from moderate Democrats who didn’t want to spend that much without offsetting the increases and from progressives who wanted nondefense spending to at least equal the amount provided for the Pentagon and defense programs. Appeasing one side would’ve repelled the other, making it almost impossible for leadership to get enough Democrats to pass their own caps proposal without significant arm-twisting. It’s not that Democrats need to pass their own plan, since the final numbers have to be negotiated with the Senate and the White House to be signed into law. But doing so would have provided them with a strong position heading into those talks. Now, by having a public intraparty fight over the spending numbers, they’ve weakened their hand. 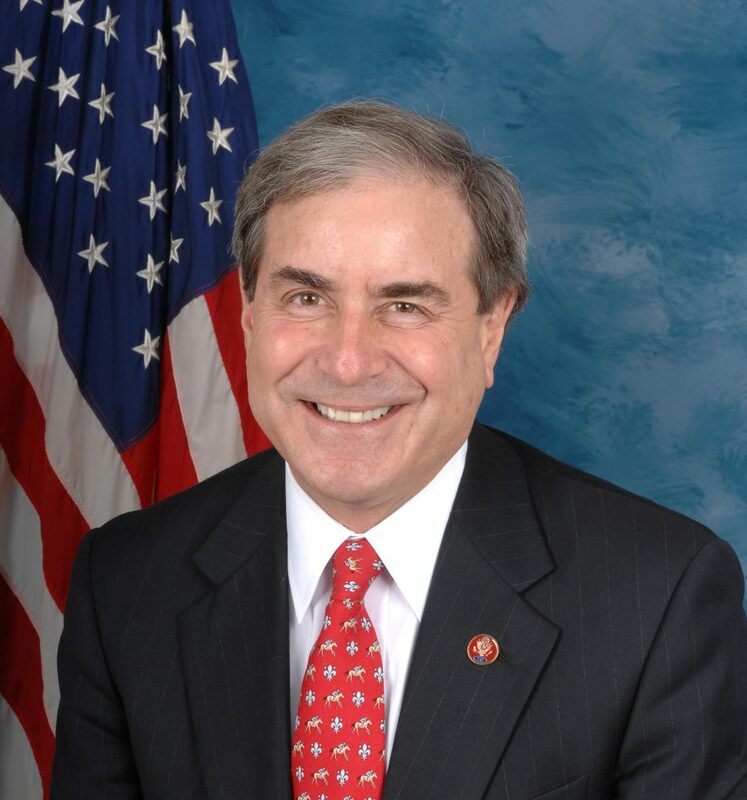 “I think it’s going to be harmful if we aren’t able to do this, because I think it minimizes our leverage in negotiations with the Senate and the White House,” Yarmuth said Tuesday morning before he and leadership decided the opposition was too great to bring the caps bill to the floor. House Minority Leader Kevin McCarthy and Minority Whip Steve Scalise have both said they’re open to bipartisan negotiations to raise the caps but have also made clear that there needs to be some fiscal restraint. “We know we’ve got a crisis on our hands. We know we have sequestration if action is not taken, so I always think it’s appropriate that we sit down together to try to solve this,” McCarthy told reporters last week, referring to automatic cuts that take effect without legislative action to stave them off. The California Republican said then, and again on Tuesday — as he noted that Democrats were struggling to pass an un-offset caps bill without adding more nondefense spending “to buy off the progressives” — that “socialists” are running the majority. What brings most Republicans to the table is their interest in making sure defense is fully funded, a House GOP aide said. Woodall said he personally can be convinced to back any increase in discretionary spending so long as it’s offset by an equal cut to mandatory spending. At least some mandatory spending offsets would be needed to get the Republican Conference on board with any caps deal, the GOP aide said. That kind of deal would actually help Democrats with one flank of their caucus — the centrist fiscal hawks in the Blue Dog Coalition. “This process should be bipartisan and bicameral,” said Rep. Stephanie Murphy, one of the coalition’s co-chairs. The Florida Democrat said many of the coalition’s 27 members had “significant concerns” with the proposal that would have raised spending levels to $664 billion for defense and $631 billion for nondefense without offsets. “Pay-go is a part of our rules package, and the proposal that was put forward did not have any pay-fors,” Murphy said, referring to pay-as-you-go budget rules. Seven moderate Democrats, six of whom are members of the Blue Dog Coalition, voted against the rule to deem the $1.3 trillion topline. Notably, the three House Democrats running for president — Reps. Tulsi Gabbard of Hawaii, Tim Ryan of Ohio and Eric Swalwell of California — did not vote. The opposition from the Blue Dogs alone, it seems, was not great enough to topple the caps proposal. Rather, it was the combination of that and objections from progressives who wanted to increase nondefense spending to $664 billion to align with the defense number. Progressives define that as true “parity,” whereas Yarmuth and most Democrats say parity is providing the same dollar increase for both defense and nondefense, which they did in the proposal that leadership had planned to bring to the floor. Republicans will never agree to provide a larger increase for nondefense spending over what is provided for the Pentagon, and they generally resist the more modest definition of parity. It seems all but inevitable that progressives will be cut out of any final deal, but they say they aren’t worried about that happening. Progressive Caucus Co-Chair Pramila Jayapal said most liberals understand a final caps deal will involve some nose holding on defense spending; it’s just a question of what it would take on the nondefense side to convince them to do that.